Designed for Atomos Products. 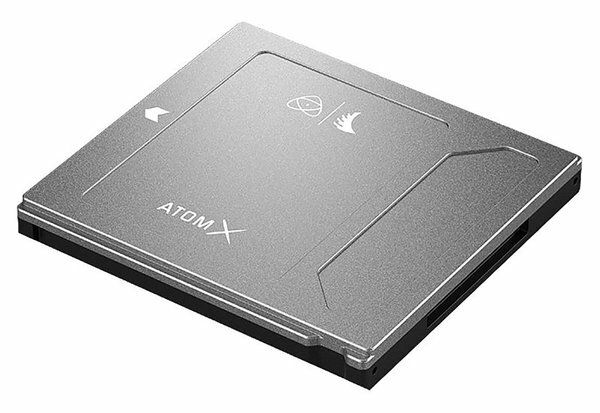 The Angelbird AtomX 1TB SSDmini is designed to work with the Atomos Ninja V, Ninja Flame, Ninja Inferno, and Shogun Inferno. 1TB Storage Capacity. This SSD’s 1TB capacity gives you plenty of space for video footage. Extreme Performance. Its 550 MB/s sequential read and 500 MB/s sequential write speeds make it an ideal solution for extremely high data-heavy use. It supports CDNGcapture up to 4K 30p, Apple ProRes RAW HQ 5.7K up to 30p, 4K 60p, and 2K 240p. Reliable Format. With no moving parts, Solid State Drives are an extremely reliable memory format. This drive is engineered to be shock, temperature, x-ray, and magnet proof. Is this compatible with all Atomos recorders? No. This drive is only designed for Atomos Ninja V, Ninja Flame, Ninja Inferno, and Shogun Inferno recorder and may become stuck in other devices.